The former manager of a charity-run care home who was made to feel "inadequate, degraded and humiliated" has received almost £25,000 for unfair dismissal. An employment tribunal ruled that the Anchor Trust placed Lorraine Hodges under relentless pressure that amounted to bullying. At one point Hodges was reduced to tears when her district manager Nicola Ayliff described the home she was responsible for as "minging" and said she would not put her mother there, tribunal papers say. In its remedy judgment this month, the tribunal in London ordered Anchor to pay Hodges a basic award of £6,601 plus compensation of £18,147. 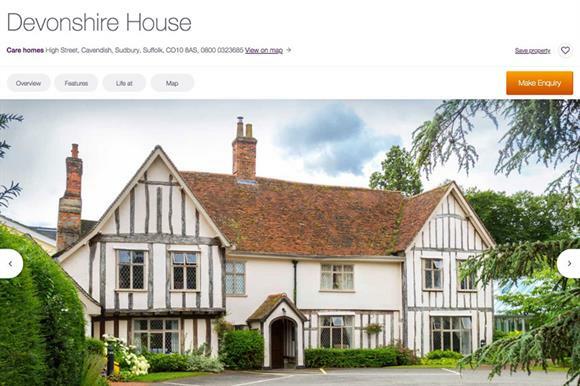 The tribunal heard at the hearing last year that Hodges, who had worked for the trust since 2005, managed Devonshire House in Sudbury, Suffolk, which provides accommodation, including a dementia wing, for up to 65 older people. In October 2016 the Care Quality Commission said the home required improvement. Hodges was given an action plan after a subsequent internal inspection identified improvements. In her evidence, Hodges said she was well aware work needed to be done but she required "help and support" rather than "someone to generate a report to state what I already knew". The tribunal heard the home frequently operated with fewer than the necessary staff and hired agency staff. This added to the pressure on Hodges, who worked long hours to bring the home up to CQC standards. The judgment said: "The majority found that the claimant was a caring professional who wanted to do right by her elderly and frail residents, some of whom had dementia." During one visit Ayliff produced a mouldy vinegar bottle in a kitchen cupboard, which along with other detrimental comments about the home's cleanliness led to her "minging" comment. On another occasion Carolyn Baker, another district manager at the time, asked Hodges to redo certain documents using a different font, which the majority of the tribunal felt was "trivial in context of the overall and more urgent requirements of delivering safe and essential care". At a meeting in October 2017, Hodges was told to report twice daily to Baker detailing what she had achieved, which the majority of the tribunal said "was significantly more than micro-management. It did amount to bullying. It was degrading and humiliating for the claimant." Shortly afterwards Hodges resigned, claiming she had been victimised and bullied. The tribunal said Hodges was made to feel inadequate, degraded and humiliated, that it was impossible for her to work only her contracted hours and she was placed under relentless pressure that amounted to bullying. Maria Bamford, director of care services for Devonshire House, said: "We’re disappointed in the tribunal’s judgment. We recognise our responsibilities to our colleagues. "We were focused on addressing the issues we identified at Devonshire House. As part of our monthly audits of the home, we provided honest feedback, identifying issues there. "We told her that senior management and support teams could help her make the necessary changes to the home so that it would no longer be rated as requiring improvement by the CQC. "The judge recognised our need to secure compliance within this regulatory framework. He stated what we had done was a reasonable management instruction. However, the tribunal voted two to one in the claimant’s favour with the judge being the dissenting voice. "The team at Devonshire House have worked to raise standards. The home is now rated good, with the residents receiving good quality care." Anchor, which merged with Hanover Housing Association last year to become the community benefit society Anchor Hanover, is England's largest not-for-profit provider of care and housing for older people. It provides 54,000 homes for people in later life across almost 1,700 sites.